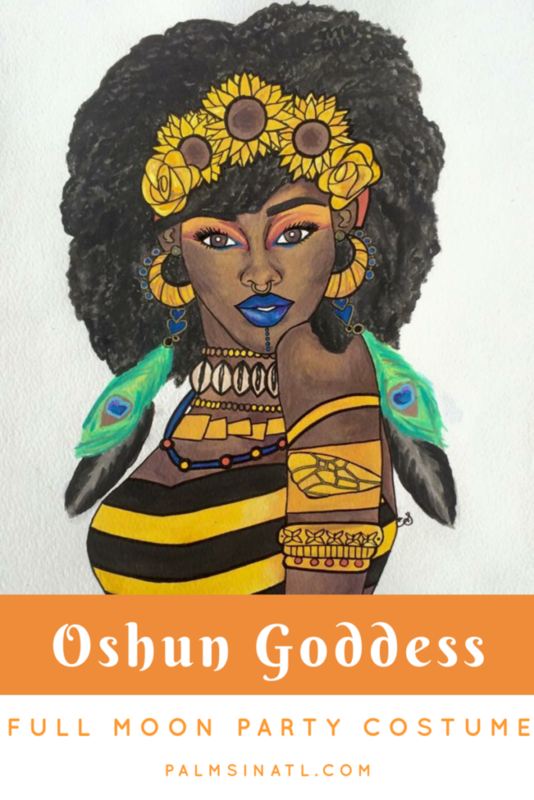 Oshun (also spelt Osun) is a beloved West African goddess known as the goddess of love and sweet waters. If you’ve watched Lemonade or Beyoncé’s Grammy performance. you’ve been exposed to the Oshun goddess. Ain’t nobody got time for that fertility stuff, but YASSS to meditation. What was I doing at a full moon party? I mean, why would I not be at a full moon party? Right before the holidays, I started working at a supercool bar in Charleston. One of the many things this bar is known for is their Lunacy Full Moon parties. Other than wanting to create a costume with what was already in my closet, or what I could wear again—I was really feeling Oshun’s vibe. Also, it’s Women’s History Month and I wanted to #DoItForTheCulture. I fell in love with a drawing by Shannon’s Art Werkk about 2 years ago. 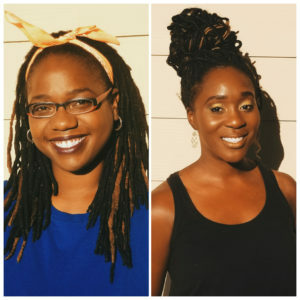 In an Instagram caption, Shannon explains that Oshun: The Goddess Next Door is associated with “love, abundance, attraction, compassion, & beauty.” After showing her my pictures, Shannon wrote in a separate caption that it was so fitting for me to dress as Oshun during a full moon in Virgo. She associates Oshun with Taurus & Virgo energy which is CRAZY to me. I’m a Capricorn, and every zodiac compatibility “test” or prediction, pairs me with a Taurus or Virgo. Beyonce is a Virgo, so there’s that. Made by Aysha & Co. Not every image of the Oshun goddess I saw used sunflowers, but Shannon’s did–and I loved it! Plus, I needed a new flower crown to rock to Hangout Festival anyway. Yellow sarong, for a flowy goddess vibe. White t-shirt, for blacklight purposes. Black tank, so I wasn’t completely exposed in the black light. Are you familiar the Oshun Goddess? If you went to a full moon party, what would your costume be?